The Hook & Hackle Company encourages support of those "Wounded Warriors" who have suffered physical and/or emotional injury as a result of their service to our great country. The Hook & Hackle Company highly endorses this fine bonefish, tarpon & permit fishing destination. Our recent visit there exceeded our expectations many times over. David Ruimveld, is one of my favorite "Sporting Art" artists. 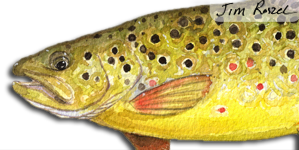 From time to time, we will feature different folks who are making a difference to fly fishing, conservation, outdoor art, helping others & so on. We welcome your suggestions for this column. 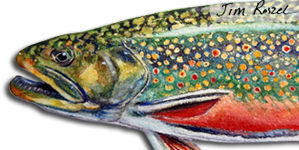 Peter C. Thompson, artist, writer, fly fisher & conservationist is our current feature. Wilderness North – Ontario Canada's Premier Fly-in Adventure Provider! Deep in the heart of the Northern Ontario wilderness lies an oasis for outdoor enthusiasts and anglers seeking a definitive Canadian adventure. Accessible only by floatplane, Wilderness North offers a haven for those who want to reconnect with nature. Build your own "Xi" and become a believer! Nothing feels as good to fish as a rod you've built yourself! Quality - Our New 7'9" 3-weight! Welcome to Hook & Hackle! 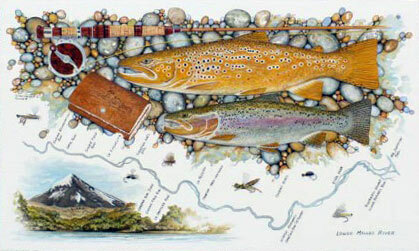 Your source for flyfishing and flycraft resources since 1975. 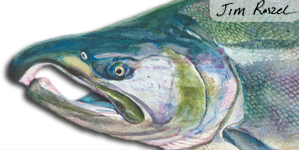 Welcome to our website, dedicated to the teaching of fly fishing basics, swapping stories, tying your own flies, leader making and, of course, fly rod building for which we're know worldwide! We have become an international leader in helping folks to do what we call "flycraft," which is make their own flies and make their own rods with our help. As you know, we have a web store, which has become one of the most popular destination for for folks 'fishing' on the web to purchase the highest quality products available, often at a more reasonable price than our competition. Full kit for the Fiberglass - the blank is smooth and done in a burnt orange, its medium fast. The kits come with old fashioned Perfection stripping guides that highlight their incredible simplicity. Available in 6'6" 3wt, 7' 3wt, 7'6" 4wt (shown) and 8' 5wt. 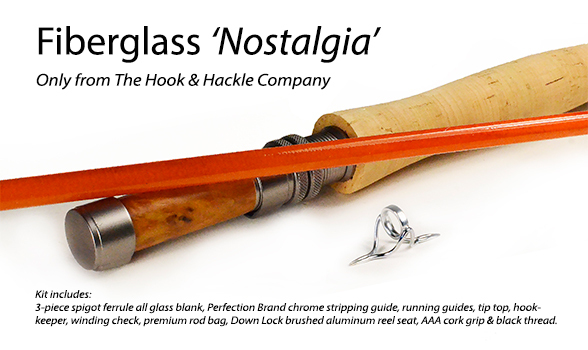 Our mission at The Hook & Hackle Company is two fold: first to promote fly fishing to folks that have not yet benefited from the many gifts offered by this pasttime. 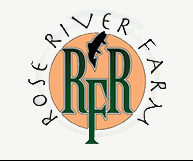 The second part is to provide goods and services for needs of fly fishermen worldwide by providing a one-stop-shop for purchasing the items needed to be successful at fly fishing, fly rod building & fly tying. We are full service, with real people who answer real phones during regular business hours, EST. Our attention to personal customer service is second to none! We will do everything within our power to guide you through purchasing the proper equipment, components and materials, in order to make your fly fishing experience the best it can be! If for any reason you're unhappy with any Hook & Hackle brand product, for whatever reason, you can return it to us within a reasonable amount of time for a full refund. We'll even pay the postage for the return!